Tyrants (judging types) prefer judgment to perception when interacting with the world around them, which means they naturally prefer to make decisions rather than collect more data, and they enjoy closure. 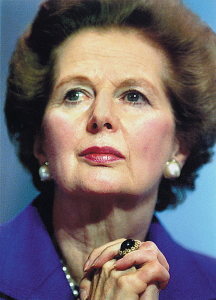 Tyrants like Margaret Thatcher are decisive, opinionated, and inflexible to change. They are orderly and organized and like routine. They are more judging than accepting of others.